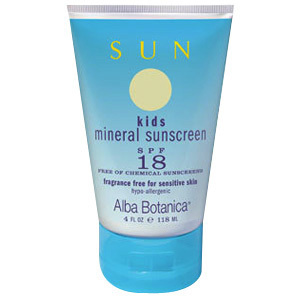 A mineral-based UVA & UVB broad spectrum reflective barrier against damaging sun exposure, our Chemical Free Sunscreen SPF 18 protects with micro-fine titanium dioxide for all-over daily use. Apply 20 minutes prior to sun exposure. Reapply every 2 hours for continuous protection and after swimming, exercising or towel drying. Avoid eye area. Certified organic infusion of green tea (camellia sinensis), echinacea (echinacea purpurea), ginkgo biloba, chamomile (chamomilla recutita), octyl palmitate, glyceryl stearate, stearic acid, cetyl alcohol, vegetable squalane, sorbitol, avena sativa extract (oats), lecithin, panthenol (pro-vitamin B5), allantoin, d-alpha tocopherol (vitamin E), hydroxy-methylcellulose, silica, methyl/propylparaben, phenoxyethanol and botanical fragrance. Who shoould use this product? For all skin types. Features and benefits: Light textured and fast absorbing sun protection enriched with vitamins, certified organics herbs and pure plant proteins for optimum benefits. 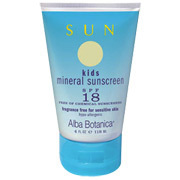 Chemical Free Sunscreen SPF 18 is shipped in a discrete, unmarked package. Orders are processed immediately and usually take about 3 to 5 working days to be received. We do ask that you try it for 2 to 3 weeks to feel the full effects. Any information received is used only for order processing and shipping purposes. Your information, such as e-mail address, will never be disclosed to a third party.